The Castle Bar was fined for serving fake vodka. As part of a Europe wide crackdown on fake food and alcohol, The Castle Bar located at 26 Waterloo St, Londonderry BT48 6HF, UK was visited by Trading Standards Officers in November 2015. During the visit inspectors became suspicious of 7 bottles of Smirnoff Vodka and confiscated the bottles for testing. Testing by the brand owner,Diageo, confirmed that the liquid in the bottles was spurious vodka. Unlike most of the fake vodka that has been making the rounds in Northern England, Scotland and Ireland this alcohol was below the normal proof of authentic vodka. It had a proof of 32.4% as opposed to the legal proof to be labeled as vodka of 37.5%. The owner of The Castle Bar pleaded guilty at a hearing on February 16, 2017 to the charges of having the fake vodka. The defense that they presented at the hearing is that the bar had a hired manager who bought the dubious vodka from a door-to-door salesman and they were unaware of this fact. In imposing the fine on the owners of The Castle Bar, District Judge Barney McElholm, said, ” ‘may want to get into another business’ and if they continue to employ the manager ‘they will bear the brunt of his mistakes’. 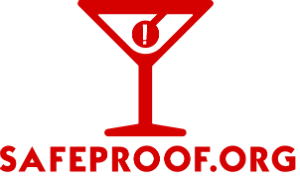 A fine of £1,500 was imposed by the Judge with a strong rebuke that all bar owners are to be concerned with the safety and health of their customers above the dubious profits of serving fake vodka.